I look forward to Christmas every year because I get to visit with family and friends I don’t see very often. I’d be lying if I didn’t say that I also like it for the fabulous smorgasboard of food. You can always count on a variety of treats and sweets for every palate. Sometimes, I go a bit overboard and make too much food. But hey, leftovers are fine with me. 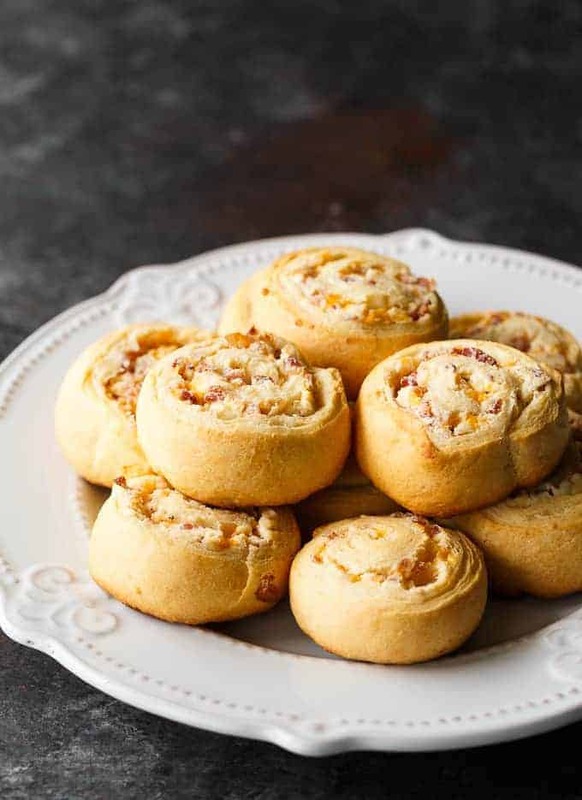 This holiday season, I’m serving up these delightful Cheesy Bacon Pinwheels. They are quick to whip up for unexpected guests and are typically gone before you can say “Cheese” for the camera. They are best served hot and fresh from the oven. That way everyone can experience all that gooey cheesy goodness. Plus, the addition of bacon really sends this appetizer over the top. It’s a bit of a shortcut recipe because it uses refrigerated crescent rolls. I used the grands because my store was out of the regular ones. I use them a lot in recipes because they are so versatile. They come on sale often so grab a bunch when you see them because there is always lots of ways to use them in recipes. Check out this Keto BLT Dip, Spicy Cranberry Chicken Wings and Bacon Cheeseburger Jalapeno Popper Dip. For another easy appetizer, try this Air Fryer Mozzarella Balls. For more holiday recipes, make sure you check out my Holiday Entertaining Guide. It will keep you stocked up on delicious recipes to serve this Christmas. What appetizers are you serving this season? Serve up some cheesy bacon goodness to your family and friends. This appetizer is quick to make and always a hit. In a medium bowl, combine cream cheese, pepper, bacon, onion and cheddar cheese. Separate crescent roll dough into two rectangles. 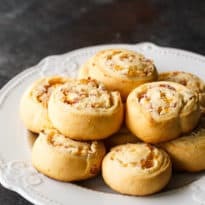 Spread cream cheese mixture over crescent roll dough and roll up starting at the longest side. Seal edge with your fingers. Cut each roll into 8 slices. Place on a baking sheet. Love quick solutions for the festive season. Thank you so much ! These are wonderful, quick, easy and tasteful. These sound so yummy. I am going to make them for my family Christmas party. 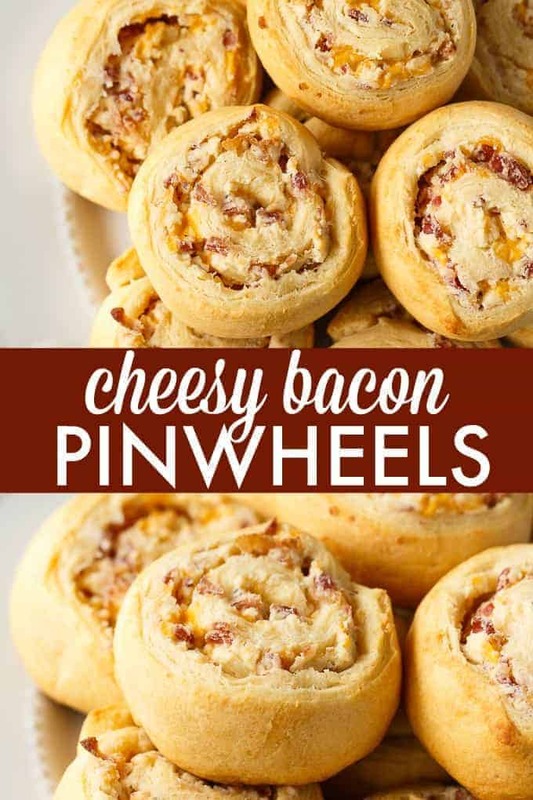 We will love these delicious pinwheels! Hope you have a great week and thanks so much for sharing with us at Full Plate Thursday. Yumm, looks super good! Pinning!